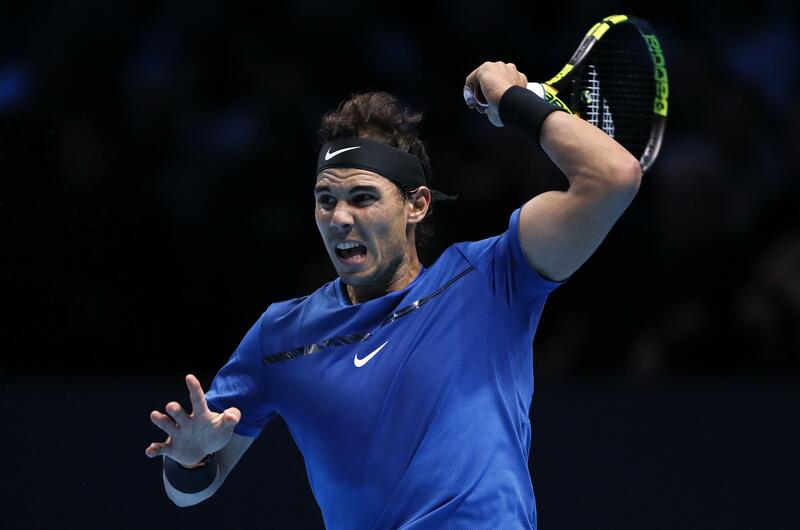 LONDON – Rafael Nadal will have to wait another year to win the ATP Finals. The world No. 1 withdrew from the elite, season-ending tournament after losing his opening match to David Goffin 7-6 (5), 6-7 (4), 6-4 on Monday at the O2 Arena. Despite having qualified 13 consecutive times for the ATP Finals, only eight of which he’s been fit enough to compete in, Nadal has never won the event. Spain will still be represented, as Nadal will be replaced by U.S. Open semifinalist Pablo Carreno Busta. After two breaks of serve each, Goffin claimed an ugly opening set via a tiebreak and was on the verge of victory in the second, but Nadal’s fighting spirit saved four match points to force another tiebreaker and draw level. However, the third set proved a step too far for the 16-time Grand Slam champion, who began to struggle with his movement and was in visible pain. Goffin secured a double break to be 4-1, but Nadal rallied once more. He could retrieve only one of the breaks. Nadal ominously waved goodbye as he left the court, bringing to an end another auspicious season. He won his 10th French Open in June, added a third U.S. Open in September and, at 31, became the oldest man to end the year atop of the rankings. With the Australian Open still over two months away, Nadal was confident playing in London wouldn’t have done any lasting damage. Nadal’s exit simplifies Federer’s path to a seventh ATP Finals title. The winner of 2017’s other two Grand Slams returns to action against Alexander Zverev on Tuesday after defeating Jack Sock on Sunday. Making his debut at the ATP Finals earlier, Grigor Dimitrov withstood a comeback attempt from Dominic Thiem and held on for a 6-3, 5-7, 7-5 victory. Published: Nov. 13, 2017, 7:49 p.m.